Livestock behaviour in the Pyrenees includes free grazing and a long resting period that provokes the accumulation of dung and urine in some places, so-called camping areas. The aims of this study were (i) to analyze any change in floral composition, and in nutritional and chemical contents of plants in a livestock camping area; and (ii) to relate the floral composition with soil chemical properties. In a linear transect, five sampling zones were established, from the centre of the camping area to the surrounding Nardus stricta-dominant pasture. The above ground plant biomass and the topsoil were sampled in each zone with 6 replicates per zone. Plant species were classified and weighed to calculate above ground biomass, nutritional and chemical contents, and Shannon diversity and evenness indices. Additionally, soils were sampled in two periods, at the beginning and at the end of grazing period. Soil available nutrients (nitrate, ammonium, phosphorus, potassium, calcium and magnesium), total nitrogen, organic carbon and pH were measured. Plant chemical contents (protein, lignin and others) were significantly related to the proportions of grasses, legumes and other plants; so, the protein content is positively correlated with legumes plant biomass while lignin content is negatively correlated with grasses. Both plant and soil nutrients increased linearly towards the centre of the camping area. However, the relationship among plant species richness, diversity and evenness relative to its position along the studied transect was bell-shaped. 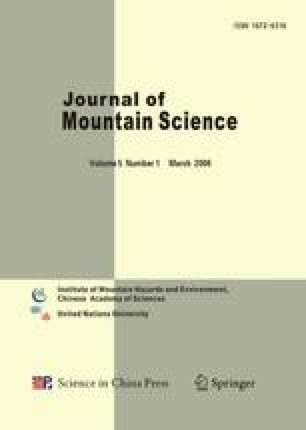 From the outskirts to the centre of the camping area, plants with low nutrient demand were progressively replaced by those with medium and high nutrients demand and by pioneers. Nardus stricta-dominant pasture has low plant diversity and plant nutrient content as well as a poor soil nutrient availability. The presence of the camping area introduced patches with more soil nutrients and new species in the large spatial scale. However at a small spatial scale, the strong soil nutrient concentration into the centre of the camping area reduced floral composition again. To ensure positive effects of camping areas on plant diversity, and to manage more effectively the nutrients returned to the soil, a reduction in the stocking rate should be pursued. Gómez, D., Mateo, G., Mercadal, N., Montserrat, P. and Sesé, J. A. 2007. Atlas digital de la Flora de Aragón. http://www.ipe.csic.es/floragon (accessed 5 July 2007). (In Spanish).